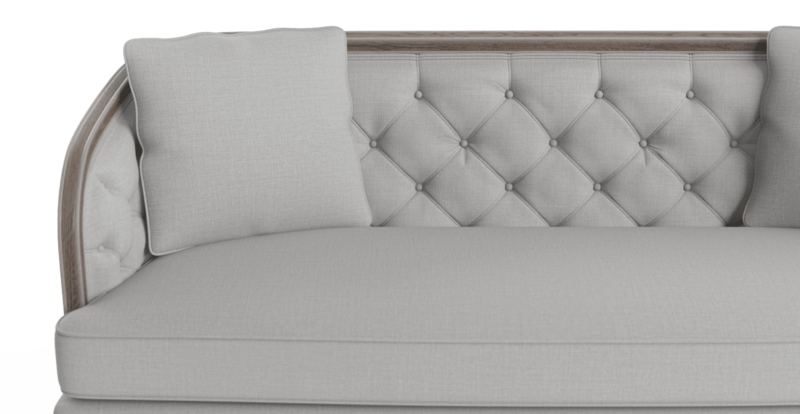 The Oliver 3 Seater Sofa has its origins in 18th Century French design. Where opulent, intricately carved furnishings adorned the wealthiest of homes. 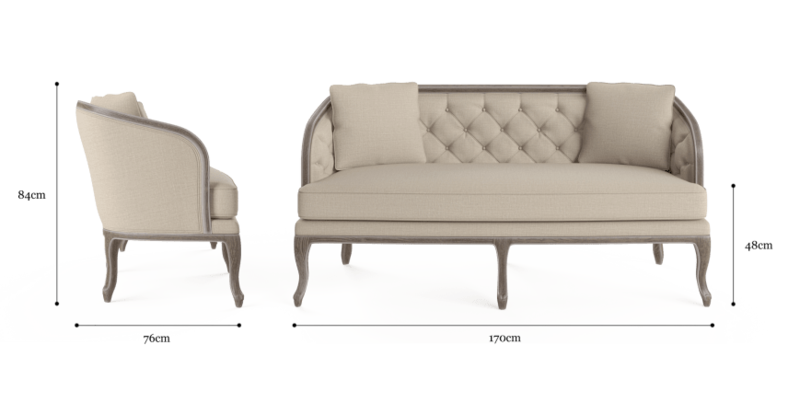 We've added a modern update, with tufted cushioning, simplified wood carvings and colourful fabric tones. 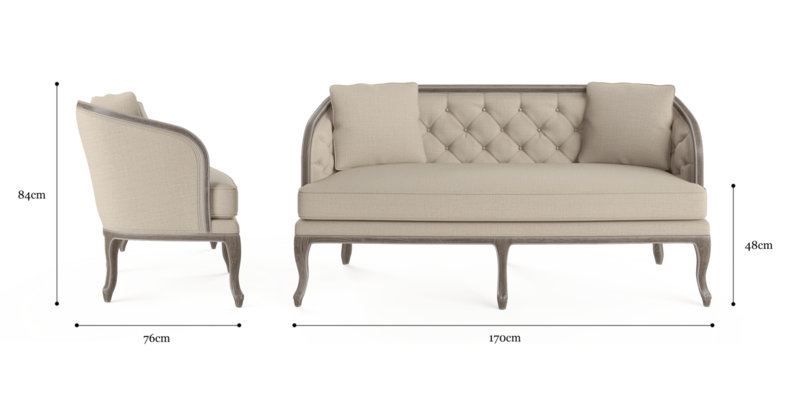 Delivering a designer piece that melds perfectly Provincial charm with contemporary interiors. 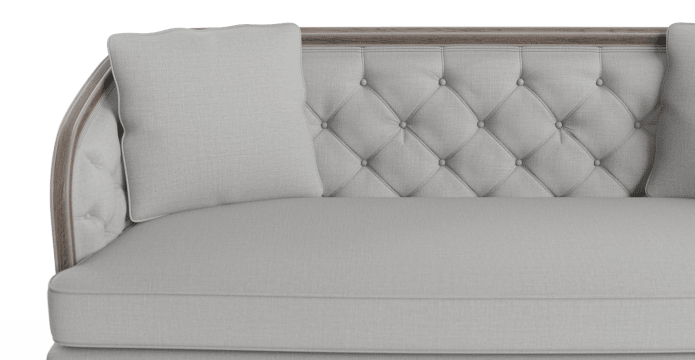 Built from solid oak and vigorously stress tested to ensure it stands up to every day use, the Oliver is a sofa every bit as strong as it is beautiful. One of the first things that stands out is the intricate detailing. 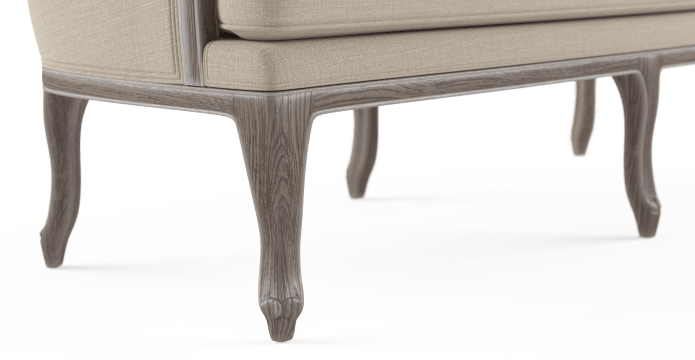 Precision crafting along the armrest and legs. Tufted button cushioning. Each feature adds a depth of character that tells a story. More than anything else, the Oliver is built to be comfortable. Ideal for sitting back after a long day and relaxing. Or as a centrepiece for hosting guests. 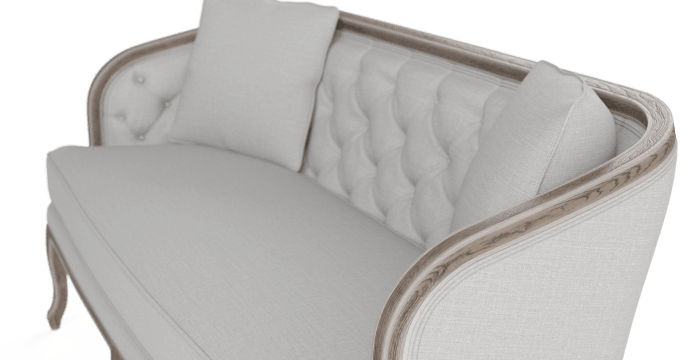 I'm so glad I bought the Olivier sofa from Brosa. The sofa is even better than I imagined it to be as it is so comfortable. Perfect for chilling out after a long day. Good value, a bit long to wait to have it delivered but more than made up for it since. Keep up the good work Brosa! 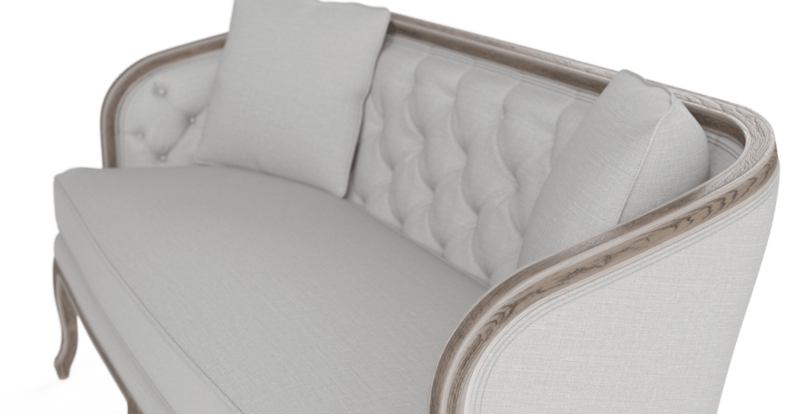 See, touch and feel our fabrics used on our Oliver 3 Seater Sofa. For Free! Simply select up to 3 fabrics and add them to your cart. Delivery is on us.